The early bird gets the worm as the saying goes, but unfortunately that doesn’t actually help fight off the inevitable sleepiness when you wake up. If like me you’re not naturally an early riser, you probably need some tricks to make you feel more awake than you really are. I can’t guarantee these products will turn you into a morning person, but they will at least make your skin look like you got a full eight hours of sleep. If you’re hesitant to use a morning facial oil, this lightweight option will keep you moisturized without disrupting your makeup application. It’s the perfect blend of everything your skin needs in the morning like antioxidant protection and radiance-boosting ingredients. I apply a few drops to my face every morning and give myself a mini facial massage to make sure the oil is completely absorbed. Afterwards, I’m nothing short of glowing! 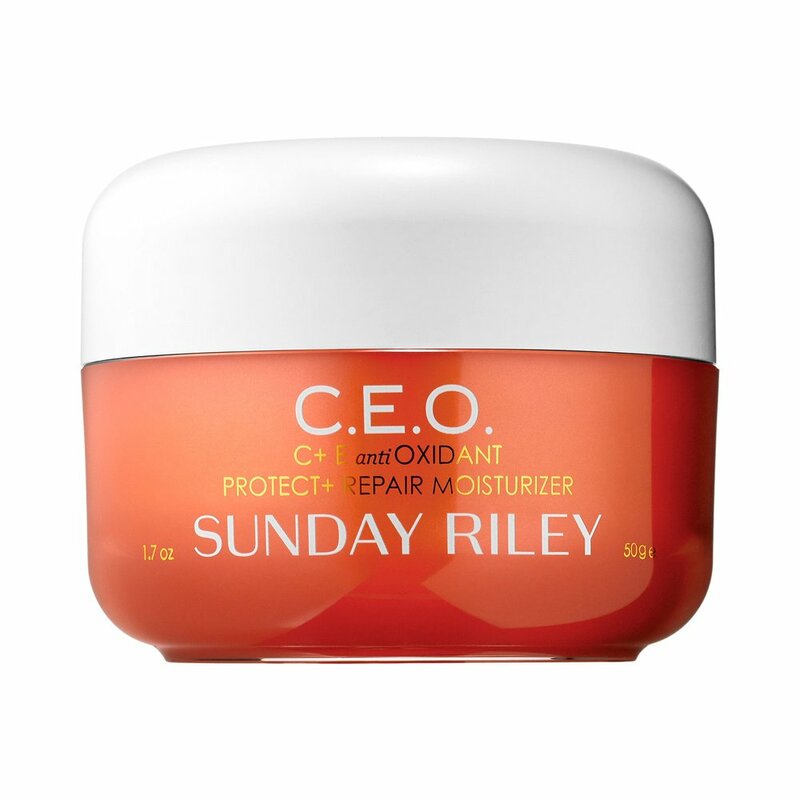 Similar to the Kiehl’s oil, this Sunday Riley moisturizer uses the power of antioxidants to protect from free radical damage and premature aging. The real star, however, is vitamin C, which also fights early signs of aging while restoring the skin’s natural radiance. If the powerful ingredient list isn’t enough to convince you, the beautiful, yet subtle citrus smell alone will make you want to splash out on this luxurious moisturizer. Just like they say the eyes are the window to the soul, the under eye area is the key to looking well rested. On special occasions or after sleepless nights, eye masks can be a great way to inject some more life into the face. This pomegranate version from Sephora’s own line is my favorite because it’s affordable and somehow visibly brightens the under eye area in the short ten minutes of wear time. Noticing an eye trend here? Roll on treatments are a great option for tired eyes because the cooling effect of the metal ball is somehow both soothing and invigorating at the same time. Origins No Puffery works to de-puff and brighten dark circles. I like to let my skincare do the heavy lifting and go light on the under eye concealer to prevent cakey makeup drawing even more unwanted attention to my apparent lack of sleep. There’s nothing like a good spritz in the face to wake you up in the morning. Instead of splashing copious amounts of water on your face like a face wash commercial, try a facial spray. Just as the name would suggest, this spray is specifically formulated for waking up tired, dull skin. If you’re a little nervous to layer too many oils in your routine, this spray is oil-free but still adds hydration. And of course, when all else fails try coffee—coffee bean infused facial spray that is.